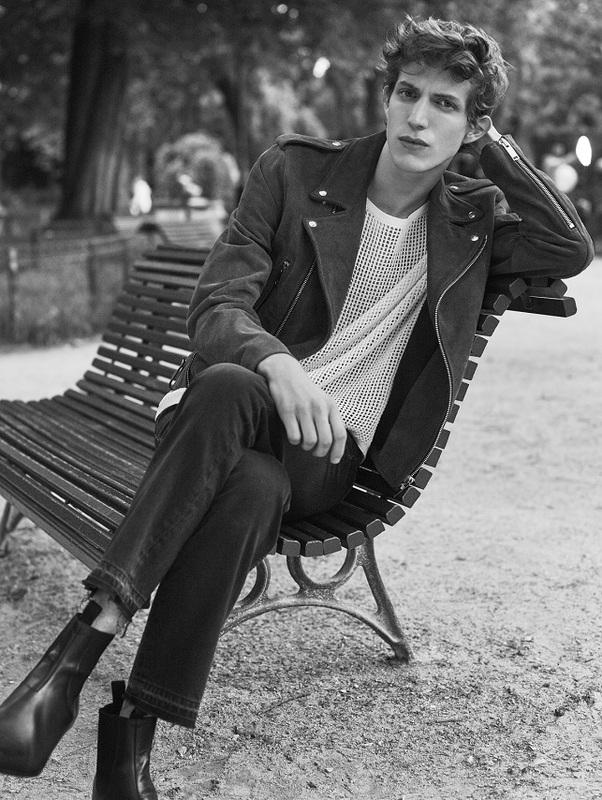 Chet Baker and his bewitching track «Let’s Get Lost» are the starting point for the SS2016 collection. 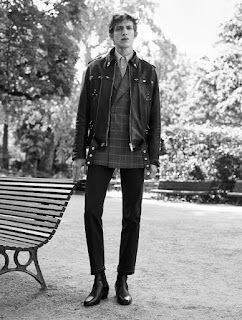 Ilan Chetrite, Creative Director of Sandro Homme, was inspired by the mythical man of contrasts in imagining this season’s silhouette: urban, unrestricted by labels, and effortlessly stylish. The collection introduces generous volumes and diaphanous fabrics structured by stiff leather ankle boots. Silk pleated trousers are worn high waisted and cropped at the ankle. Denim follows suit in black and indigo tones, with white topstitching on some pieces. A billowing dark silk shirt or a f ine knit with generous collar, finished with graphic lines or white ribbing, completes a voluminous silhouette, giving a f lowing look. Tailored pieces have a special place in the collection. Oversized coats feature drop shoulders or raglan sleeves. The wide collars on these coats echo the jackets in the collection, which come in a choice of double-breasted or three-button styles. 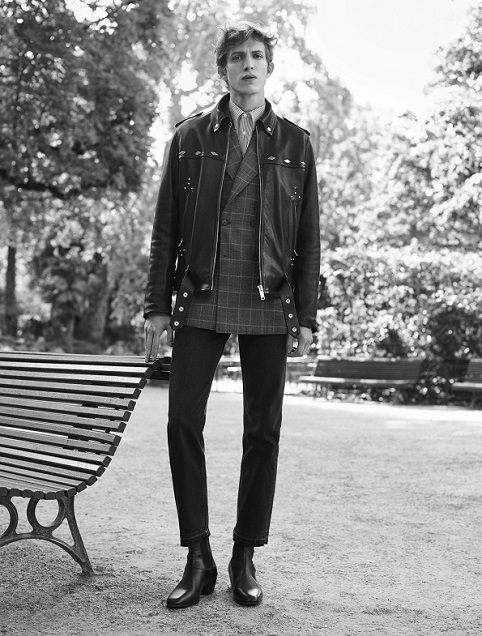 Pure new wool and jacquard are the fabrics of predilection for these mid-season pieces. 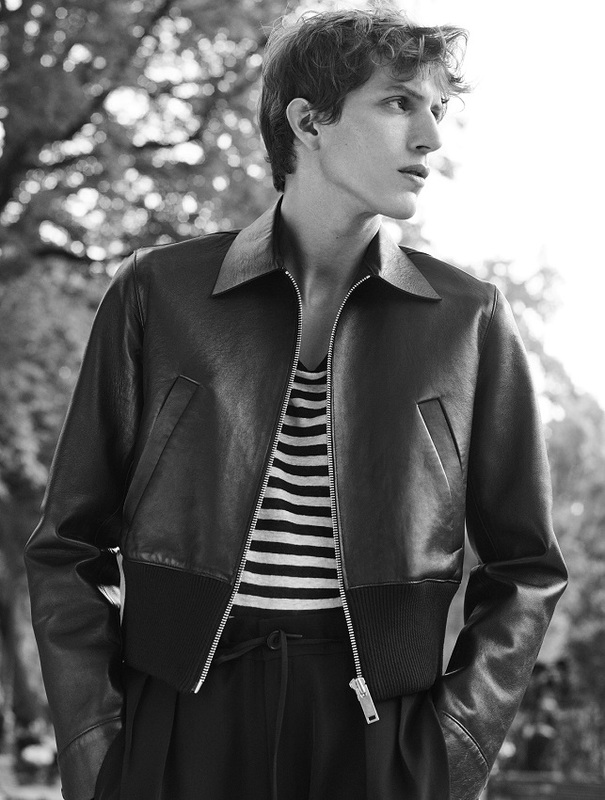 Short f itted black leather jackets provide contrast to the volumes in this selection.